The 2012-2013 AOCS President, Tim Kemper (Desmet Ballestra North America, Georgia, USA) gave his 'Retiring Presidents Address' during the AOCS Annual Business Meeting and Luncheon May 5, 2014 in San Antonio Texas. 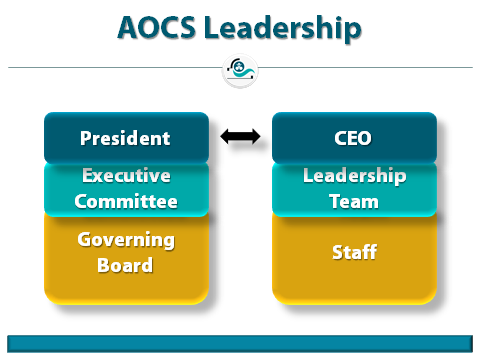 AOCS staff is directed on a continuous basis by our CEO, Pat Donnelly, to fulfill the strategic plan of the governing board. The governing board is led by the elected president. Working closely with the president is an executive committee consisting of the past president, vice president, treasurer and secretary. The executive committee meets with the CEO and key staff on a monthly basis via teleconference to follow up on execution of strategic objectives. This slide shows the dashboard we use to track our strategic progress. The full governing board meets in person with the CEO and key staff in the Spring and Fall, and by teleconference in the Winter to make key decisions for the society’s future. 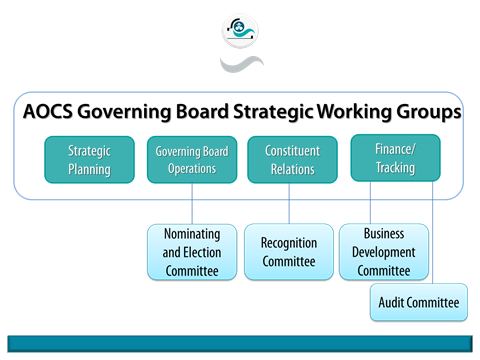 The full governing board is responsible for continuously developing and updating the vision and strategic plan that leads to each year’s strategic objectives that the CEO and AOCS staff execute upon. To continuously advance the vision and strategy, the governing board is broken into four working groups that meet on their own on a regular basis. These working groups consist of strategic planning, constituent relations, board operations and financial tracking. 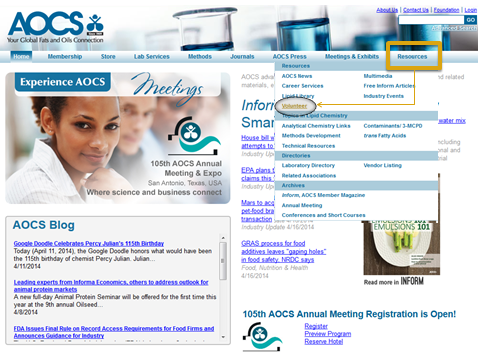 Each is responsible for a specific aspect of AOCS strategy going forward. As governing board member’s terms expire, we are in need of fresh talent to repopulate the governing board, and specifically to repopulate the four working groups. For this talent, we look to the membership. 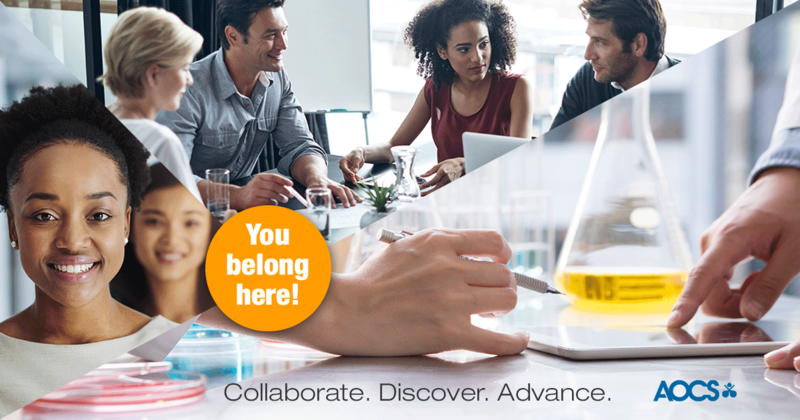 With around 4000 members, we have a large talent pool with people who certainly have the needed skills and experience to fill our needs in strategic planning, constituent relations, board operations or financial tracking. Each year our Nominations and Elections Committee needs to look at which specific positions will expire on the governing board, and determine which people in our membership’s talent pool can best fit those specific needs. These candidates are then presented to the governing board each Fall as the proposed best slate to continue advancing the vision and strategic direction of AOCS. The Nominations and Elections Committee’s task of selecting which candidate can best fill a specific leadership position requires that sufficient and comparable data is made available for all of the prospective candidates. In the past, this data collection on candidates was done in a rather ad hoc manner, making the task of the Nominations and Elections Committee very difficult. 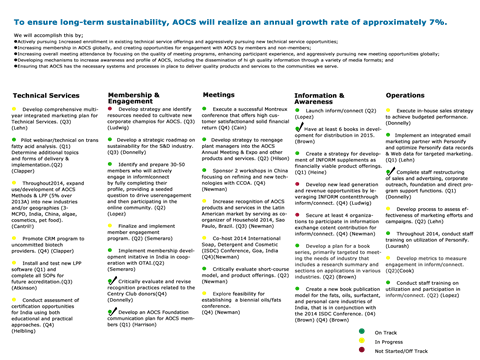 As such, the board operations working group developed a new tool for this data collection, and the interface for collecting this data is through the AOCS Website. The data collected is intended to be used for selecting potential candidates for governing board, along with all other AOCS leadership positions. 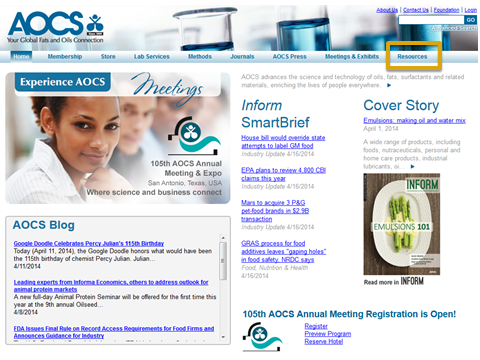 From the AOCS home page, select “Resources”. To get started, just select the “questionnaire” hyperlink. As you can see, the questionnaire is quite simple. It asks for contact information, experience & interest, professional affiliations, CV or resume, and professional references. Under the experience & interest information, depending upon what you check, there is a menu that allows you to further elaborate. When finished, simply select the “Submit the questionnaire” button at the bottom. In order to find the many talented people within the AOCS membership that can lead us to a bright future, it all starts with your filling out this simple questionnaire. I request that any of you that have an interest in leadership of the society, don’t wait, please fill out this questionnaire at your first opportunity. 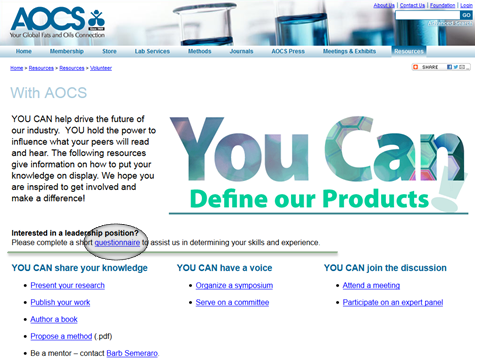 Yes, leadership positions at AOCS do require your precious time. Like all of you, my plate is full before any AOCS work is added on top. Nonetheless, if you are passionate about oils, fats, surfactants and related products as I am, please give serious consideration to stepping up by filling out the questionnaire and providing the Nominations and Elections Committee with more talent to choose from. Thanks again for the wonderful opportunity to serve as your president during the 2013/2014 term!